The latest light shows in Rome have made it better than ever to experience the city and its amazing art and architecture. The shows are all so well done, you feel transported in time. Find out how to visit Rome like never before! 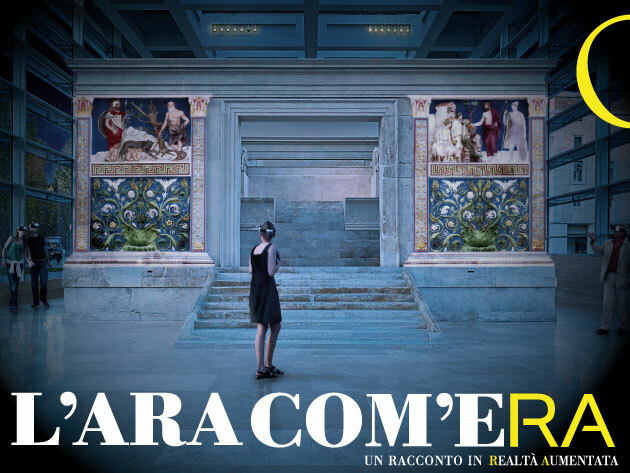 The latest in virtual reality technology has made is easier than ever to step back in time, and immerse yourself in Rome's history, whether from Michelangelo's time 500 years ago to the days of the empire 2000 years ago. Due to the visual nature of the subject of this page about Light Shows in Rome, I've embedded several videos so you can see a preview for yourself. Please note that when you play these videos, they play sound out loud as well. The below sites in Rome are already fantastic and worth visiting on their own. But you can also visit them with virtual reality goggles, and truly immerse yourself in the past. They are amazing experiences in the literal sense of the word. I found myself reaching out with my hands trying to touch what I was seeing. 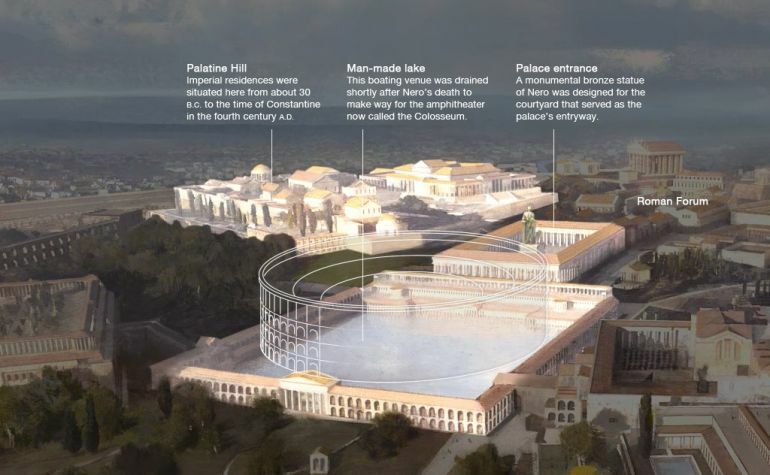 The Domus Aurea ("Golden House") was Emperor Nero's enormous construction that covered over 3 of Rome's 7 hills. It was an ambitious, palatial structure, or rather series of structures, that Nero had built just for himself. After Nero died, subsequent emperors tried to cover up his works, to make the people forget him and his crazy and evil ways. They issued a damnatio memoriae, which means, "let's condemn his memory". One result of this, is that the Colosseum was built by emperor Vespasian, right over Nero's man made lake. Another result is that, by filling in and covering up all Nero's structures, they were preserved, to be found again during the Renaissance. Now you can visit part of these excavations, and with virtual reality goggles, you can get a feel for what Nero's enormous palace might have been. It is literally breathtaking! The Caracalla Baths are in my opinion one of the best ways to experience the grandeur of Ancient Rome in Rome without visiting the Colosseum. The baths were commissioned by the Emperor Caracalla in the early 3rd century. They were enormous, and although much of the structure was pilfered and/or used to decorate and build other things in Rome and afar, you can still get an excellent idea of the quality of the architecture and engineering of which the Romans were capable. Now, you can also book a visit with virtual reality goggles and compare the current structure to what might have been, nearly 2000 years ago. Click here to book via CoopCulture directly. Eligible for the Roma Pass and the Free Sunday ONLY for entry. The virtual reality goggles must be booked and paid for separately. Speaking of Light Shows in Rome . . .
Did you know that in summer, you can attend live opera and other musical shows inside the Caracalla Baths? I've been and it's an extraordinary experience! To see the schedule, visit the website of the Rome Opera House. Another of my favorite smaller museums in Rome (but no less impressive), is the Ara Pacis. 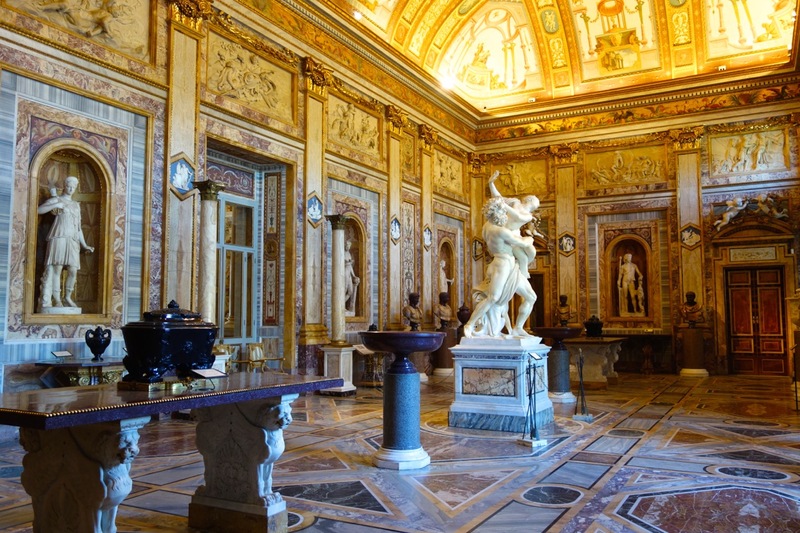 If you are looking for some of the best Ancient Rome stuff, without crowds, this museum is for you. The highlight is its namesake, the Ara Pacis, Augustus' Altar to Peace. And while it's a fantastic museum on its own, you can also visit on Friday and Saturday nights, and view this relic with virtual reality goggles, and see it as it might have been. It's so realistic you will feel like you are in the time of Augustus! Did you know you can take a virtual reality tour of Rome's most famous monument? The Colosseum is one of the top must-sees in Rome. You can also visit it with virtual reality goggles and see it as it once was. There are other sound and light shows in Rome that don't involve virtual reality, but they are fantastic all the same. Each of the below shows will take you back in time, and even if "just" a light show, they are so well done, you still feel transported. In 2014, the light show Viaggio Nei Fori was launched to celebrate the 2000th anniversary of the birth of Rome's first emperor, Octavian Augustus. It was a first for Rome, an amazing light and sound show, projected onto the ruins of Augustus' forum, to recreate what it was like during his reign. We saw it that first year and were completely blown away. It's a 40 minute show but goes by in a flash, it's so entertaining. The shows run nightly from April - late October/early November. Visit the website for details. Click here for tickets on your mobile device. Eligible for discounts with the Roma Pass. You can attend both this show and the show of the Forum of Caesar on the same night. In 2015, another light show was introduced, to complement Augustus' show (above) - A trip through Julius Caesar's forum. We did this one as soon as we could, and were just amazed at how well it was put together. With this show, you walk a little bit, from Trajan's Forum, underneath the via dei Fori Imperiali, and through the ruins of Julius Caesar's forum. It's not a huge amount of walking but it's a little different from Augustus' show, where you are seated the entire time. Here too, they use fantastic lighting techniques to bring this archeological area to life. The shows run nightly from April - late October/early November. Visit the website for details. Click here for tickets on your mobile device. Eligible for discounts with the Roma Pass. You can attend both this show and the show of the Forum of Augustus on the same night. As you can imagine, underneath the Rome you are visiting today, there are more and more layers of ruins, so many of which still need to be excavated. One relatively recent find was this Roman domus (home) beneath the 16th century nobleman's home, Palazzo Valentini, right next to Trajan's Forum. The ruins are extraordinary, and often exquisitely detailed. A 1.5 hour visit underground will leave you with a profound appreciation for what life might have been like for the Romans who were here 2000 years ago. 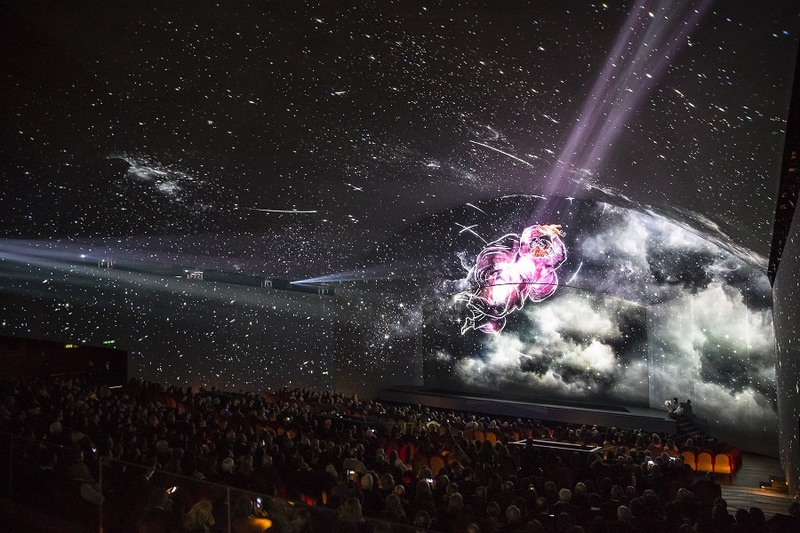 The show includes a short video explaining the excavations, then a tour through the ruins, that includes light and laser shows, and 3-D projections. It actually left me feeling a little disoriented, because you are sometimes in the dark, and all of a sudden, the floor lights up under you. But it is fantastic and I highly recommend it to anyone. Here is the official website. Click here if you want tickets on your mobile device. Not eligible for the Roma Pass. 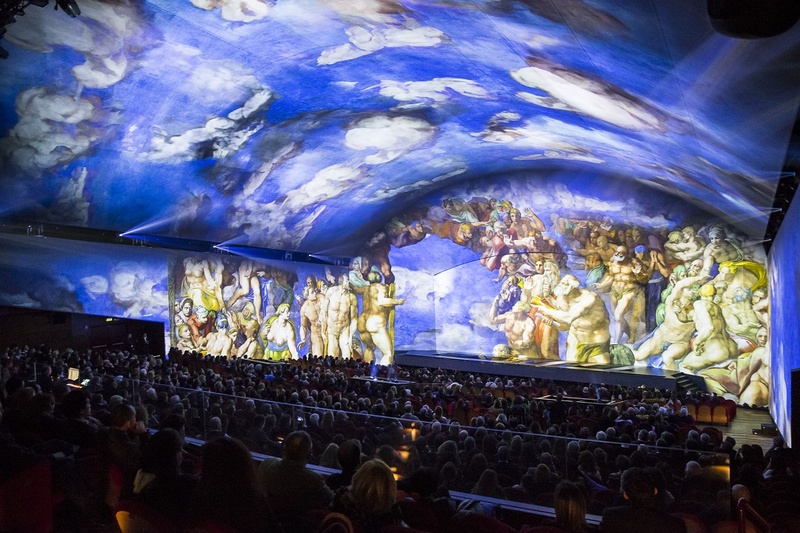 When I heard about a new "immersive" show about Michelangelo and the Sistine Chapel, I could not wait to see it. I love the other light shows in Rome, but this one is unique, especially since it's the only one set in the Renaissance. You are surrounded by sight and sound that bring you completely into Michelangelo's world. It's also unique because of how many different art forms are involved. Click here for tickets on your mobile device. Not eligible for the Roma Pass. This new "immersive experience through the history of ancient Rome" is a great way to experience Ancient Rome. 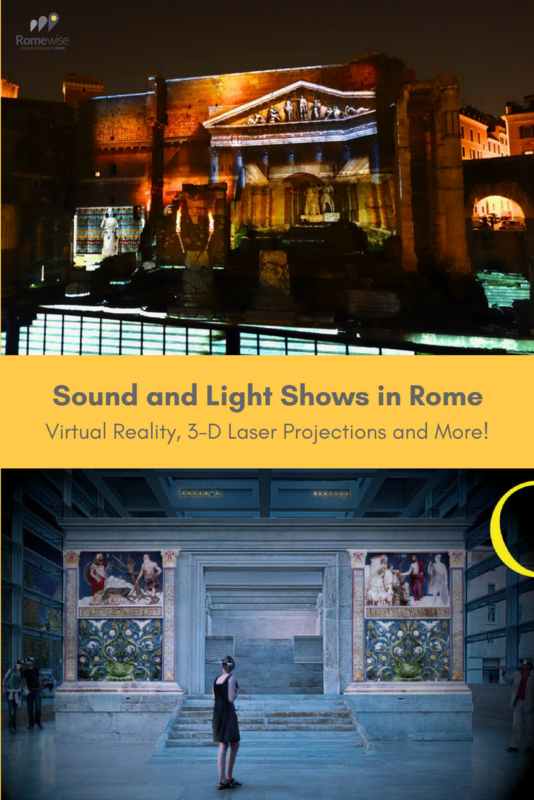 Even if it's not quite virtual reality, nor does it really count as one of the light shows in Rome, it's still what I'd call an "augmented" reality show, and it's really well done. Website, schedules and tickets here. Monday/Thursday - 09:00 | 19:00; Friday - Sunday - 10:00 | 21:00. Shows every 30 minutes. Not eligible for the Roma Pass. 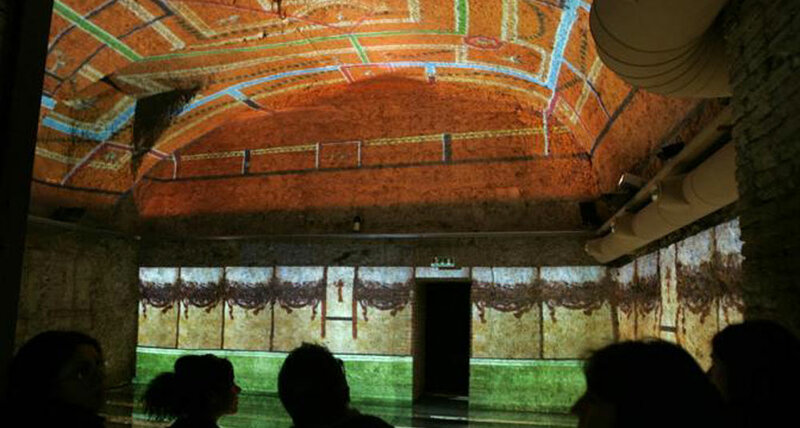 The Time Elevator may well be one of the first and oldest light shows in Rome. It's not as sophisticated as the other light shows in Rome, but it's often suggested for families travelling with kids. The show is in what they call a "multi-sensory cinema", and involves some 3-D movies, but also moving seats and special effects that are intended to make the viewer "feel" part of the story. Click here for tickets on your mobile device. Not planning to come to Rome? Want to relive things you saw in Rome? These websites use enhanced reality to reconstruct Ancient Rome. While not light shows in Rome per se, they are wonderful tools for understanding what Ancient Rome must have been like. Enjoy! I was blown away by this BBC production "Rome's Invisible City". It's all about the underground of Ancient Rome, much of which is still there today. I had no idea! Altair4 is the company that produced the virtual reality light shows you can see today in Rome. They also make a lot of fabulous reconstruction videos of historic places, not only Rome. I find their videos fascinating, and so well done.